Accepting registrations and credit card payments made simple. We offer team registration as well as free agent / player registration. Access your club page from your Account Settings page. 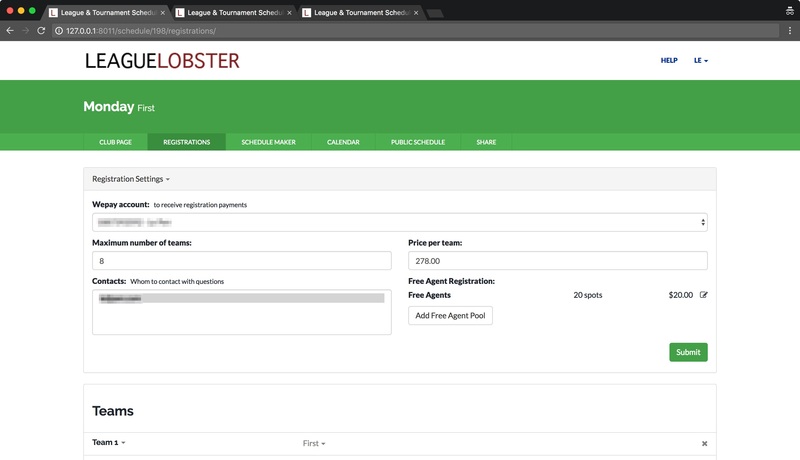 Once you've set up your season or tournament, head to the REGISTRATIONS tab. That opens up a dialog with some answers to common questions. Click the blue chat button if you have any further questions. 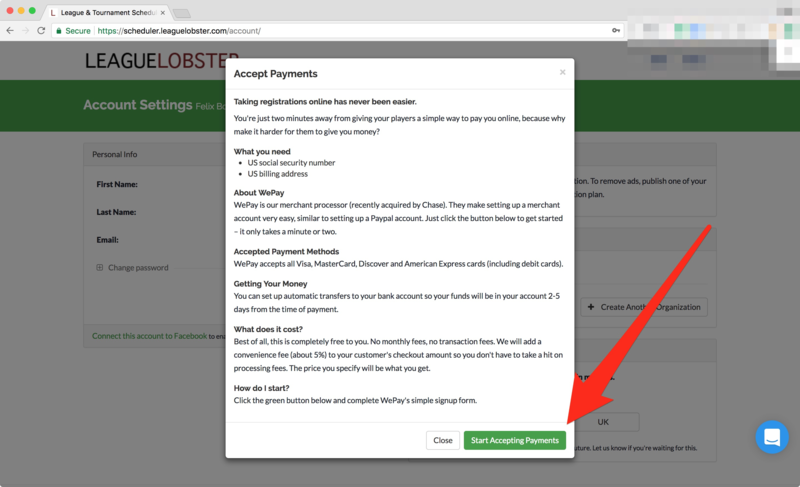 You'll receive a confirmation email from WePay with instructions to finalize your setup. Once you've set up your WePay account, you'll see the actual Registration Settings form. 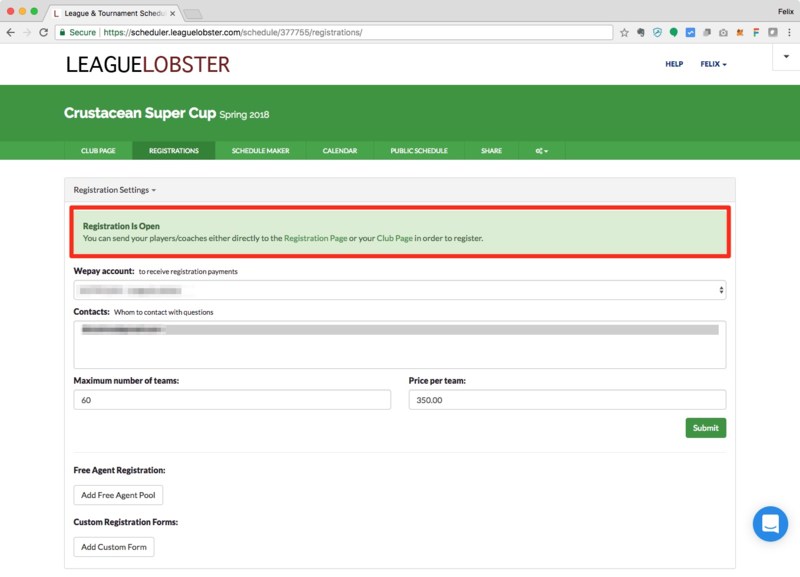 Enter a price per team and optionally a maximum number of teams that are allowed to register. 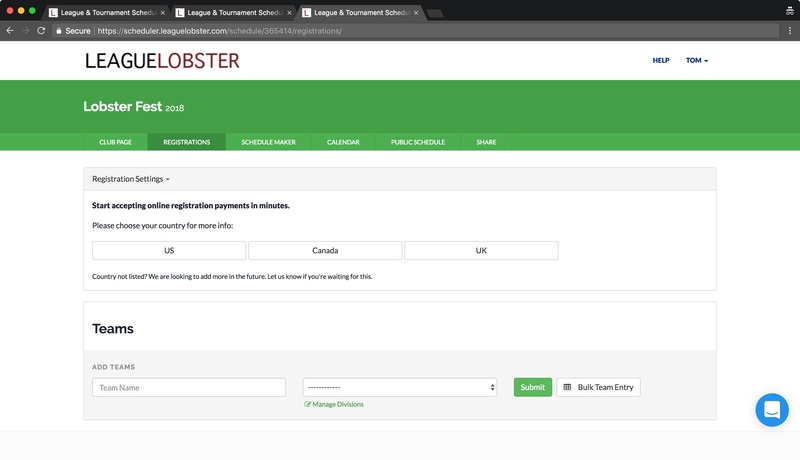 Leave price per team empty if you only want to enable free agent registration. To enable free agent / player registration, click the Add Free Agent Pool button. 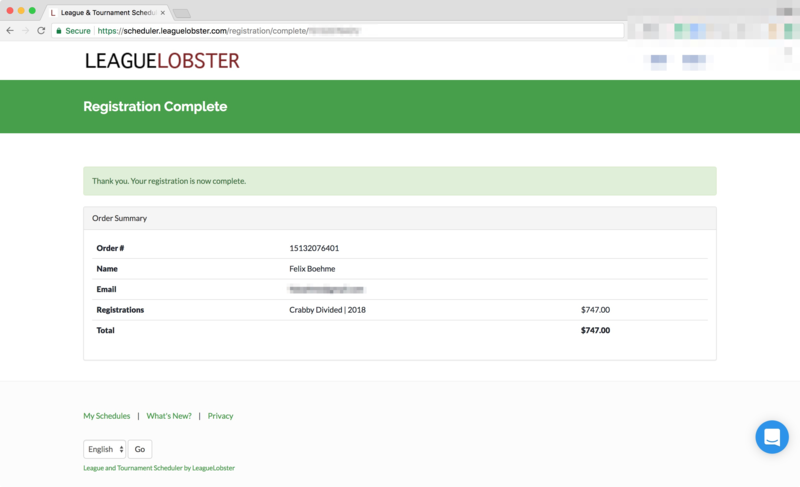 We figure it's better to spread processing fees over many shoulders, so we transparently pass on those fees to your registrants (they'll see it displayed as service fees at checkout). You always receive the amount you enter as the price. 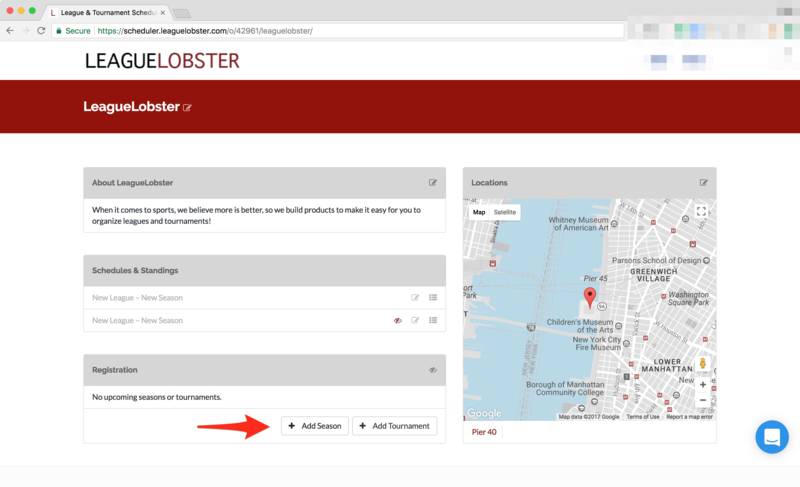 You can also just send them to our home page and have them type the name of your organization or event into the search box. 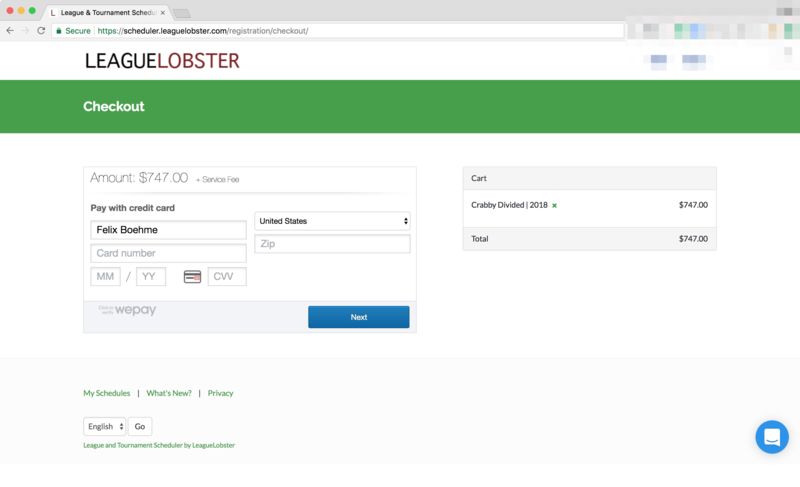 Optionally, you can add custom fields to the registration form by adding a custom form under registration settings. Click here for more on that. 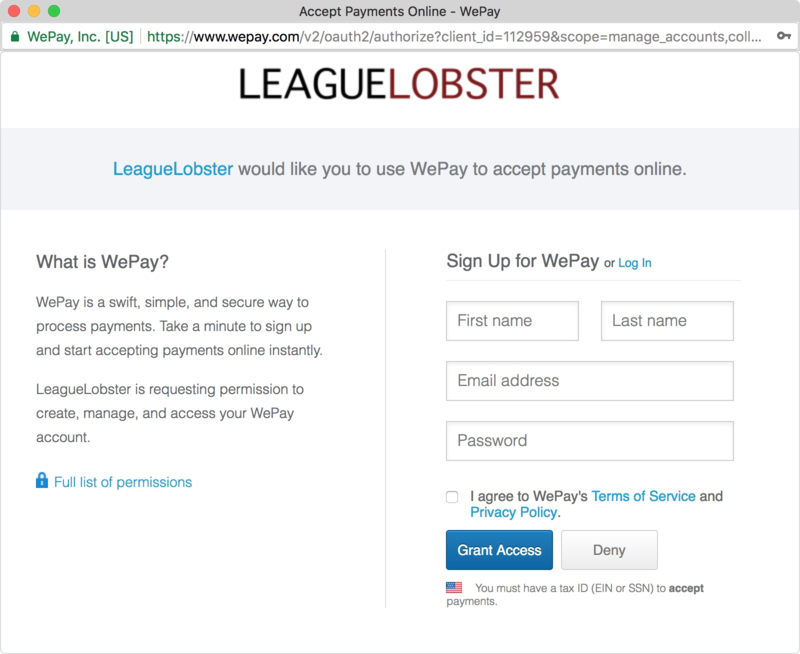 You'll receive an email from support@wepay.com (labeled as LeagueLobster via WePay) every time you receive a payment. You can also access a history of your received payments through your accounts page. 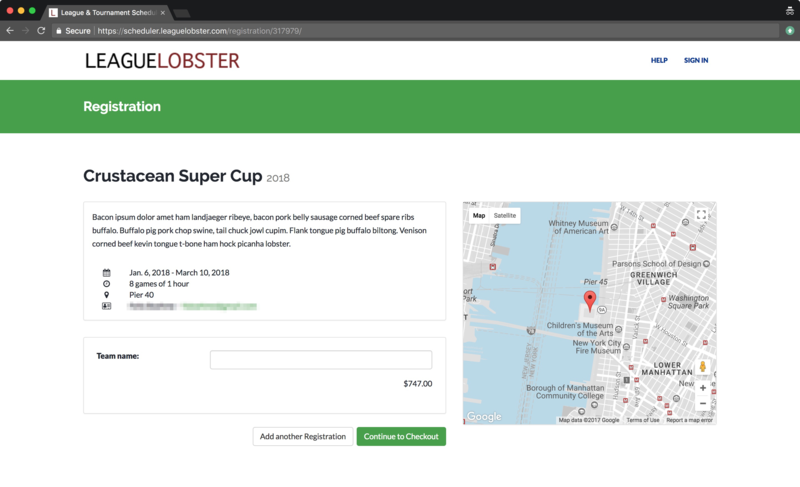 Registered teams will appear on the REGISTRATIONS tab of your event as well as your SCHEDULE MAKER, no need to re-enter your teams to generate your schedule. You can also log into WePay to see all your payments, issue refunds etc.